Australia’s Own unsweetened almond milk gives you all the benefits of organic almonds. With only pure and simple ingredients, you can enjoy knowing that our almond milk is delicious and good for you – with no added sweetener, no cane sugar, no gluten and no lactose. Enjoy it in your favourite smoothie or recipe, for a snack loaded with nutrition. Available at Coles and Woolworths, and selected Independents. This delicious unsweetened almond milk contains the goodness of organic almonds with the nutritional benefits of no added sweetener, no cane sugar, no gluten and no lactose. Best of all, it is endorsed with the Australian Certified Organic Bud Logo to ensure consumers of its organic authenticity. Monash University Low FODMAP Certified ™ product: FODMAPs are a group of dietary sugars that are indigestible or poorly absorbed by the gastrointestinal tract. Samples of this product has been analysed and were assessed to be low in FODMAPs. Monash University Low FODMAP Certified trademarks used under licence in Australia by Freedom Food Group. 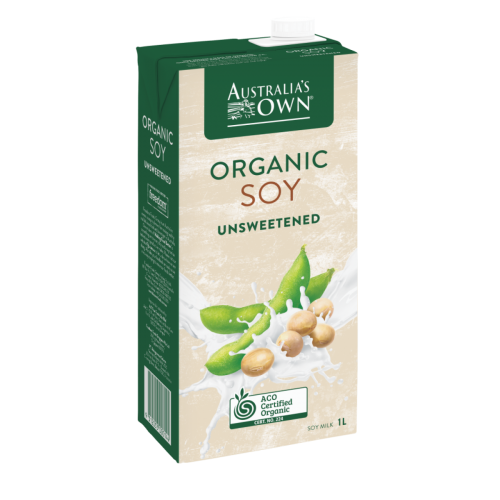 One serve of this product can assist with following the Monash University Low FODMAP diet(TM). A strict low FODMAP diet should not be commenced without supervision from a healthcare professional.